Tonight, I’ve got crosswords on the brain. Returning two-time champ Matthew couldn’t keep up his streak; Bill’s got this one locked up heading into Final. Some mind-games brewing for second place. Bill can risk up to 4,800. 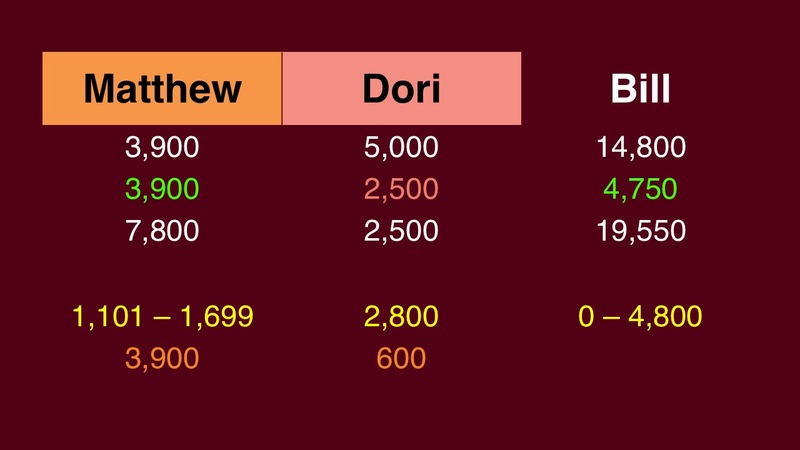 Dori should wager 2,800 to cover Matthew. Matthew should wager 1,101 to cover a zero wager by Dori. 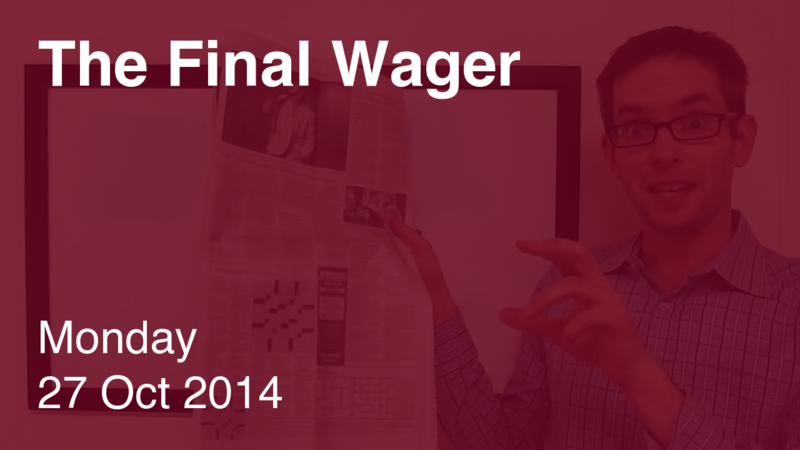 If Matthew gets it right with his 1,700 wager, he will have 5,600, so Dori might consider wagering 600 to cover that possibility. In response, Matthew could wager more – say, everything. I don’t like that wager out of Dori, obviously! 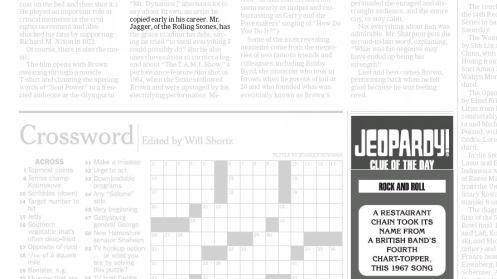 I thought the juxtaposition of the NYT “Clue of the Day” with a mention in an article about James Brown was amusing.